The Creative Nature Ginger Teatox Detoxing Flapjack Bar is a Great Taste Gold Star winning Cold Pressed flapjack with a naturally refreshing flavour unlike anything else on the market. The Yerba Mate gives the bar an incredible fragrant taste, whilst the ginger brings it back down to earth with a bang. 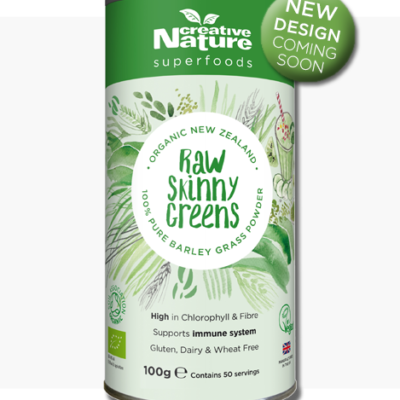 Hints of tropical fruits like coconut, papaya and pineapple compliment the Organic Barley Grass powder and lemon to create our very own taste of paradise. 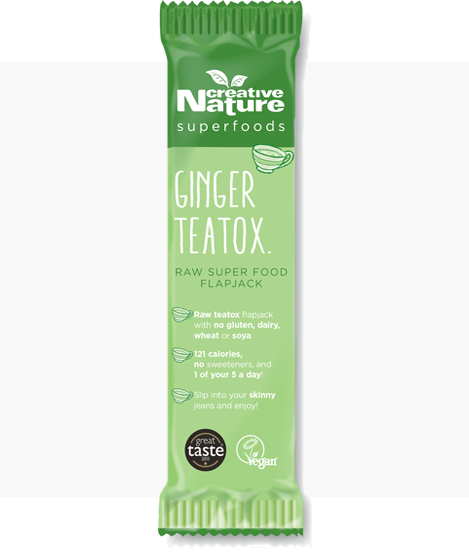 If you’re a fan of ginger, Creative Nature Ginger Teatox Detoxing Flapjack Bar is a treat that you will absolutely love! It is a raw, vegan, dairy free, gluten free and nut free bar meaning it accommodates to pretty much all possible diets and allergies! Whether you want to treat yourself to a mid-day pick me up or a delicious pre-workout snack, these Creative Nature Ginger Teatox Detoxing Flapjack Bars have you covered. They are also a great topping for smoothie bowls if you are a fan of having some tasty and beautiful bowls in the morning! 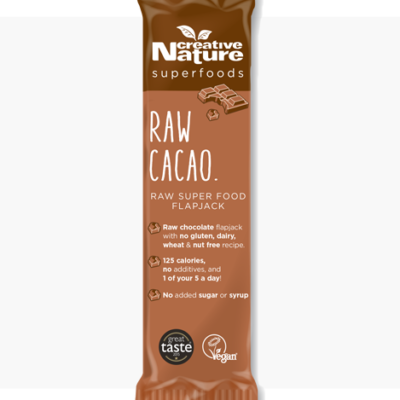 Not only do they taste incredible and provide you with a great bit of energy, but they have no dates, syrups, agave, artificial sweeteners or sugar, making them healthier than most of the bars out on the market today! This bar is completely unique and won’t leave you groaning that it’s ‘just another raw bar’. Ingredients: Dried fruit (sultanas, pineapple, papaya, apricots), gluten free oats, ginger (8.5%), coconut, vegetable glycerine, organic barley grass powder, yerba mate, lemon juice. I sell these in our office Cafe and they’re super popular! Personally, they’re my favourite flavour (although Cacoa Orange is a very close second). Really moist, powerful ginger punch and surprisingly filling without feeling too sweet. I keep these at home now too as my go to snack after a long cycle. I bought 2 of these bars on offer from Lloyds pharmacy, I wasn’t really expecting much as it was a brand I’d never heard of, well I was wrong!!! They’re delicious, so tasty and very filing!! Tried a sample of this bar and i loved it. its refreshing to find a company with healthy snack bars that are not loaded with fake sugars. Absolutely love these bars. Purchased a box on special offer at Vegfest in Febraury and more boxes will be ordered very soon. 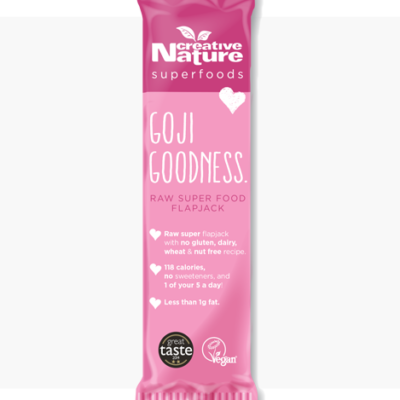 Excellent pre-workout bar – fruit sugars and enough ginger to get your get up and go going! I’m a huge fan of ginger, I love it in my smoothies, in food and the health benefits are amazing…so for me this is gorgeous! It’s really fresh tasting and unlike any other cereal bar I’ve ever had. I’ve already recommended these to friends and family…really lovely!